We are city dwellers here at Masterwork Plaques, but that doesn’t mean we aren’t serious nature lovers. 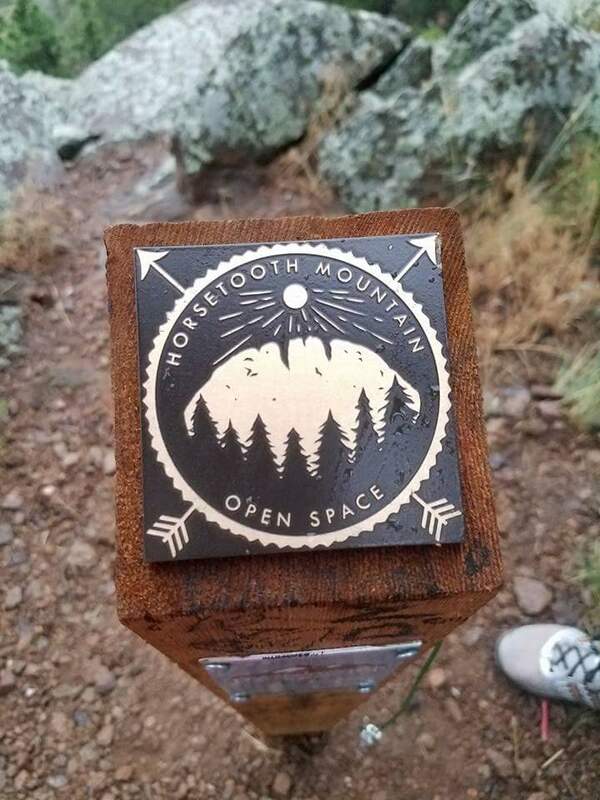 When Masterwork was approached by Larimer County to produce their beautifully designed metal Passport Trail Markers, we were thrilled. The Larimer County Department of Natural Resources in Colorado manages Larimer County's great outdoor places, including open spaces, trails and water-based recreation areas. They also foster responsible land stewardship through maintaining healthy forestry practices. The county is particularly committed to promoting a sense of community and deep appreciation for the natural and agricultural heritage of the area for present and future generations. 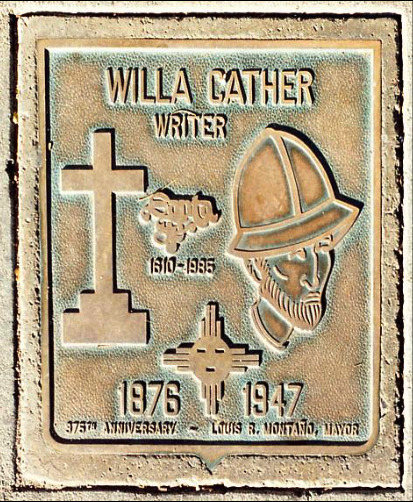 Each of the sixteen etched bronze trail marker plaques is a small 3” square. Each plaque is fixed to a wooden post placed throughout the county’s open spaces trails. The design team at the Department of Natural Resources provided the metal illustrations, and our studio optimized these designs to ensure each plaque would etch correctly at our etching facility. "The plaques themselves are really cool. Hopefully, people get a ‘collect them all’ mentality once they see the plaques and want to get rubbings of them all. " The artwork for each trail marker plaque was particularly important, as the plaques were used for the county’s unique passport program. Each bronze marker was designed with a unique image that represents the space where it is installed. 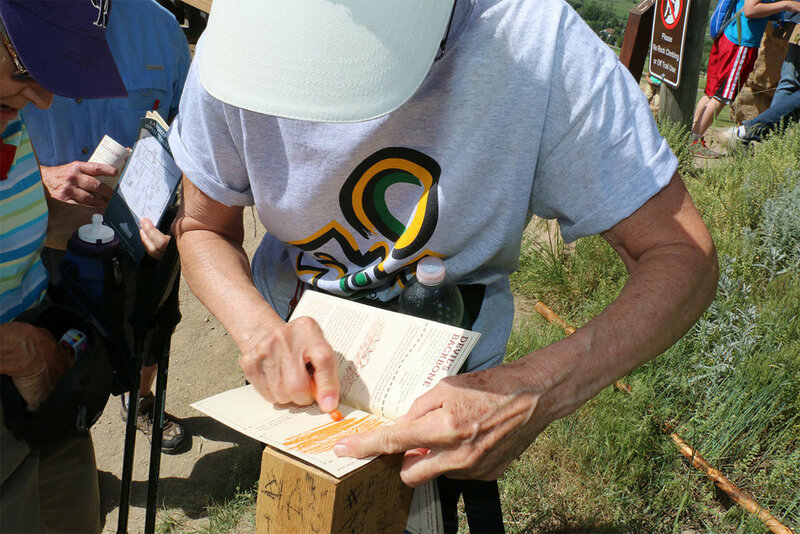 When hikers come along a metal marker on a trail, they can place their hiking “passport”, which they received from the county, over the metal relief and take a rubbing from the plaque (with a pencil, crayon, etc.). 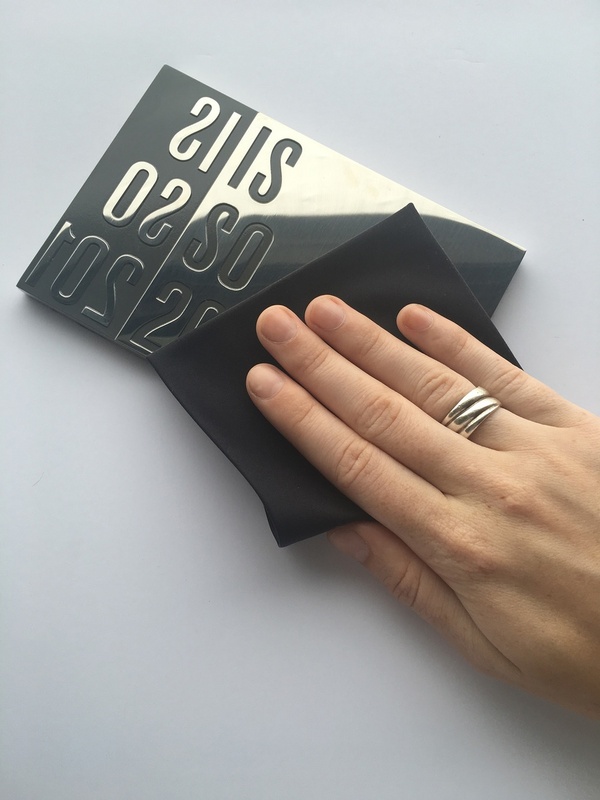 This rubbing has a stamping effect which marks their passports and can be used to win various prizes. This fun and interactive activity encourages everyone to hike and enjoy the magnificent nature, while also fostering a sense of pride for the community. We’ve found throughout the years that bronze plaques large and small have a unique ability to promote a sense of community where they are installed. 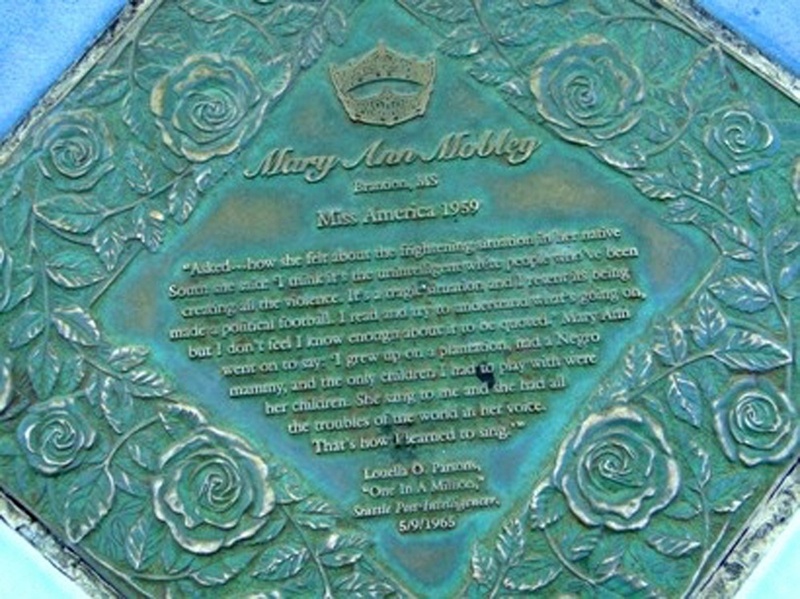 Bronze plaques can be used for wayfinding purposes, public art pieces, historic plaques and inset sidewalk medallions. Both long-lasting and eye-catching, metal plaques draw attention to public spaces that may have otherwise been overlooked. As is the case with these Passport markers, plaques can also help lead passers-by through a natural space. Bronze and other metals also have a beautiful visual appeal that will last for years regardless of rain, snow or sun. 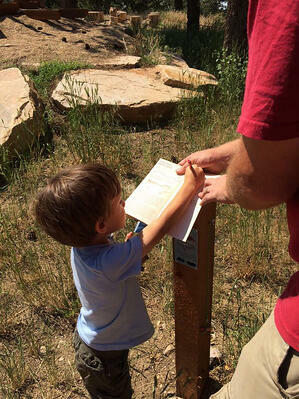 We encourage you to learn more about this metal marker project and check out the Larimer County website for more passport program photos captured on the trails. In the age of one-click purchases, many of our clients do not expect custom plaques to take the time they do to produce. We use traditional mold-making processes and bronze pouring techniques to ensure your plaque is created at the highest quality. Each one of our projects is designed to our client’s liking, and after the order is finalized, the designs go through pattern-making, casting and finishing processes before shipment. Our plaques are made by skilled artisans that value their craft and are proud of the Masterwork product. For single plaque orders and smaller quantities, we typically require four weeks to produce and deliver the work. For certain projects, we can expedite this manufacturing time to two weeks for an additional fee. If the bulk order is over 25 plaques, manufacturing time is usually around 6 weeks. For orders of 100+, we tend to ship out in installments, and manufacturing time is determined by the size of each plaque and the overall quantity. For large quantity orders and plaques that are over 4ft in size, storage can become an issue. When you start to plan the content of your plaque, also start to consider a secure storage area where the plaques can be received and held. Masterwork Plaques does not provide storage once the plaques have been manufactured in order to maintain an orderly shop environment. Better safe than sorry, we always say. If time allows, we suggest ordering a single plaque before proceeding with a large order. We can produce a sample plaque in two weeks, which gives our customers the opportunity to review the final product before 100, 500, 1000 plaques arrive at their door. Sample plaques give our customers the option to review a plaque in person and make any appropriate changes to the design, which prevents issues in the final order. We also have samples in house that can be sent to clients with tighter schedules. Our pre-made samples are 6” x 4” and can give you a tangible idea of the finish quality and background textures you are planning to use in your final order. Masterwork Plaques is all about quality. We create our custom signage at competitive prices, and we always suggest that our clients create their plaques from the best materials they can afford. While bronze and stainless steel are a little more costly than other metals, they last a whole lot longer, and the investment pays off over time. Our customer relations team can work with you to determine the highest quality product that fits within your budget. Walks of fame (similar to the Hollywood Stars in Los Angeles) are typically large quantity orders that are installed underfoot, commemorating specific individuals. These plaques are created using one base design, with interchanging honoree names. Interpretive plaques are informative text plaques or illustrated markers that often lead the viewer through a park or building while telling a story. The plaques can show the passing of time from piece to piece, or depict unique events that took place at the specific site where these plaques are installed. Bulk order projects are large quantity orders of one plaque design, and often are produced in the largest numbers. Many clients will be interested in ordering hundreds of plaques for a building or a group award, and it is imperative that each plaque looks consistent. Masterwork Plaques offers discounted pricing for bulk and quantity plaque orders. For a custom quote on any of these types of projects, fill out a quote request form or give us a call at (718) 283-4109 if you would like to discuss your unique quantity plaque project in more detail. Masterwork Plaques designed and fabricated a commemorative "home plate" plaque to honor Jackie Robinson’s major league baseball debut. 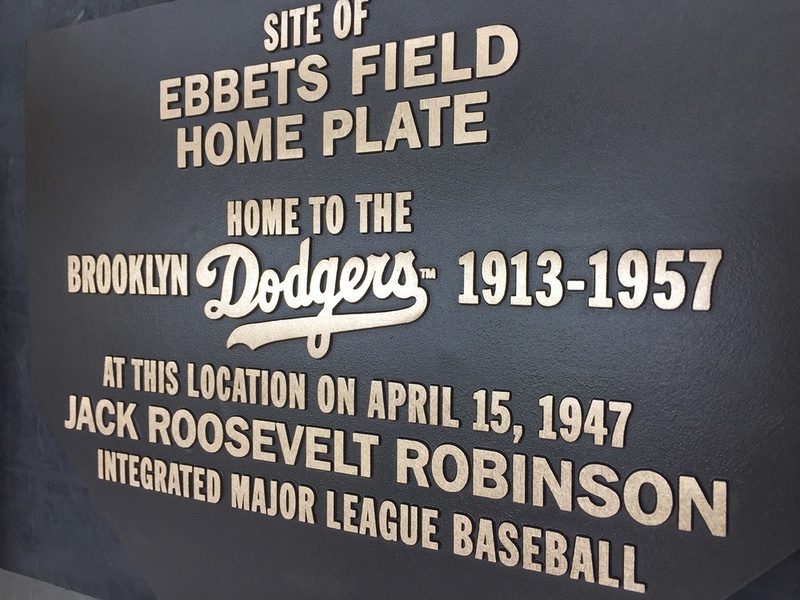 This cast bronze plaque is installed at the former site of Ebbets Field in Brooklyn, NY. From 1913 - 1957, Ebbets Field was the home of the Brooklyn Dodgers baseball team. Ebbets Field was the site of many of the Dodgers early successes before their eventual move to Los Angeles in 1958. Among these historic successes was the desegregation of the team, with the signing of Jackie Robinson in 1947. Jackie Robinson was the first African American to play in the major leagues, bringing the end to sixty years of segregation in professional baseball. 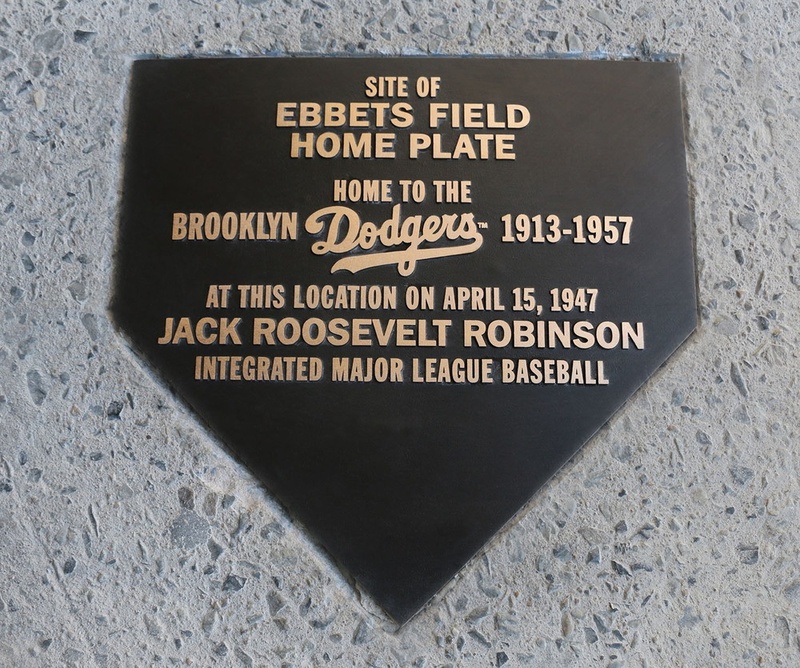 The plaque is installed at the precise location of Ebbets Field’s former home plate, where Jackie Robinson first stood at bat on April 15, 1947. The project was developed as a part of Ken Burns newest documentary series, in conjunction with the release of Google’s visual reality headset. By overlaying a photograph onto a more recent photo of the current landscape, Google was able to determine the exact location of the home plate (Yahoo Sports: 10 Degrees: The secret virtual-reality project to honor Jackie Robinson) This commemorative plaque resides in the courtyards of the Ebbets Field high-rise apartment complex, and the home plate shaped plaque faces where the old center field would have been if it still existed today. 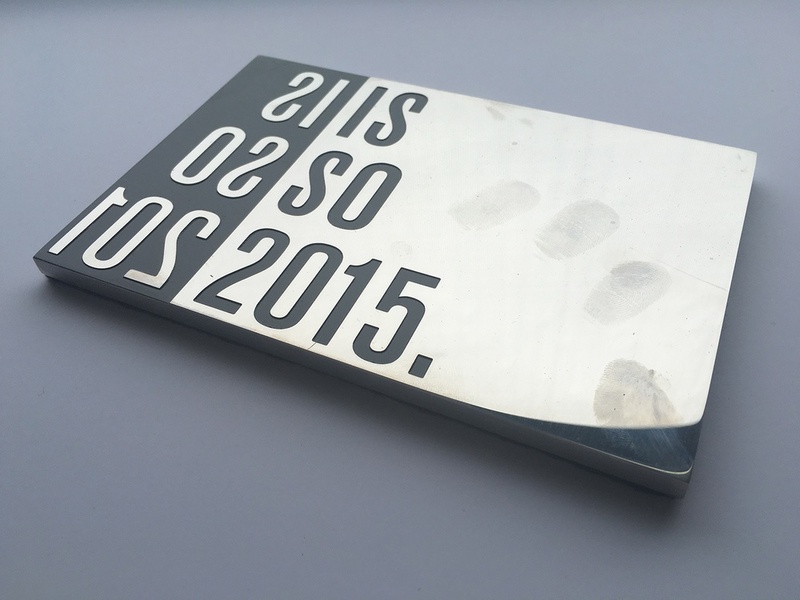 Our studio can create custom shaped commemorative plaques in just about any shape and size. For this particular project, we felt it was appropriate to use the dimensions of a home plate, to reference the historic baseball field. Metals react with their surroundings, and for this reason it can seem a little daunting to clean a plaque properly. However, the solution is simpler than you think, especially when it comes to polished stainless steel plaques. All you need to maintain the surface is a microfiber cloth, and if necessary, a mild soap and warm water. Polished plaques have a mirror-like finish which gives them a very sleek and contemporary feel. This finish is most successful on stainless steel, as it is a very dense and high quality metal that has a beautiful shine when it has been properly buffed. However, a polished finish should only be used in specific cases. We mostly recommend this finish for interior plaques that are out of reach of the public. As with most mirror finishes, fingerprints and dust are quite visible when they interact with a polished finish surface. Rub the surface of the plaque with a microfiber cloth to remove fingerprints, dust and other grease stains. The easiest solution for removing fingerprints, dust and other grease stains from stainless steel is by simply rubbing the surface of the plaque with a microfiber cloth. This material is soft enough to remove the surface grease without scratching the delicate finish. If any areas were not cleared away by the cloth, we suggest starting with water only and using a soft cloth to wipe away any remaining stains. Only if at this point a surface imperfection hasn’t gone away would we recommend using a mild soap and water solution. Commercial solvents should never be used on metal plaques. All of our metal products are finished with a clear lacquer coating that protects our plaques from oxidization. This coating can be stripped away by everyday cleaners and powerwashers, so for this reason, if the plaque needs to be cleaned, it should only be done with water and a soft brush if absolutely necessary. Commercial solvents (such as Fantastic) should NEVER be used on metal plaques. In addition, a pressure washer should NEVER be used on any metal work, especially when the surface is finished with a chemical patina or paint. In general, please come to us first with any questions about cleaning and maintenance. We can be reached at masterworkplaques@gmail.com or (718) 283-4109. 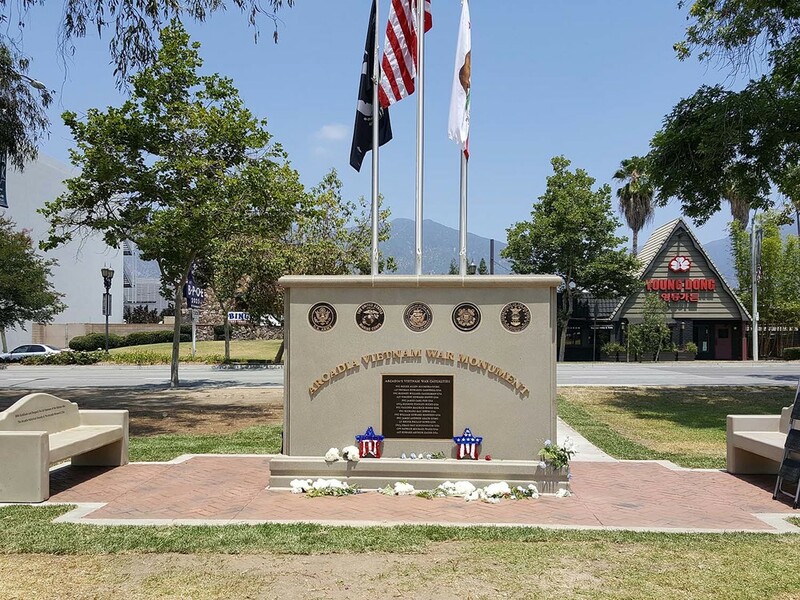 This Memorial Day, fourteen US servicemen from Arcadia, California, who died in the Vietnam War, were honored in the county park at the newly constructed Arcadia Vietnam War Monument. The project was spearheaded by Gene Glasco, a veteran of the Vietnam War and Arcadia City Clerk. The monument structure was fabricated and set in time for a special dedication ceremony on Saturday, May 29th. 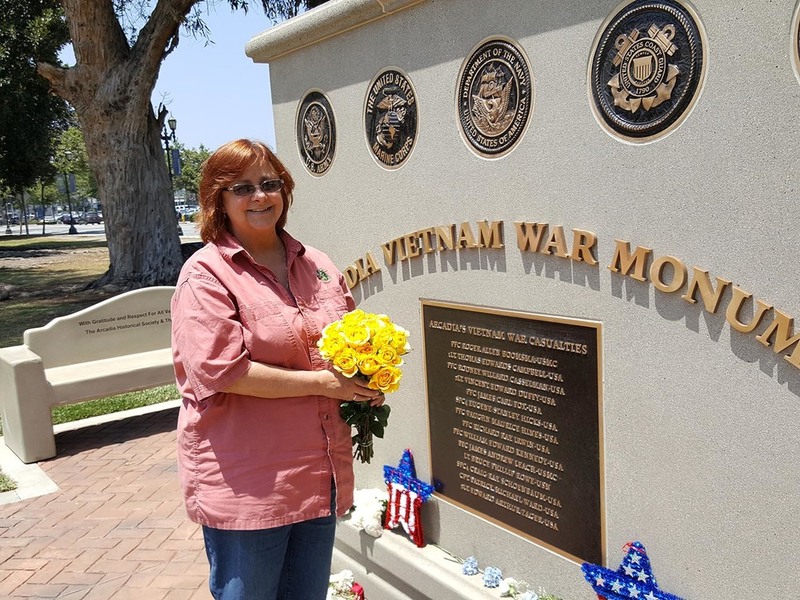 For Arcadia Weekly, Glasco stated that “the Arcadia Vietnam War Monument has been built in honor of Arcadia’s sons lost in battle, but it also stands in tribute to all living Vietnam Era veterans.” The bronze plaque on the front of the monument commemorates the fourteen Arcadia casualties of the Vietnam War. On the back are three cast aluminum plaques, one of which commemorates additional veterans from WWI, WW2, Korea, Vietnam and as recent as Afghanistan. In addition to the four cast bronze and aluminum plaques, Masterwork Plaques designed and fabricated the waterjet cut letters and military seals which were also inset into the front of the monument. “Waterjet” refers to machinery that uses a pressurized stream of water to cut through a variety of materials (most commonly metal). The water is forced through a small hole to focus high pressure water into a very thin stream. This stream is powerful enough to cut out precise, free-form shapes, which we use primarily to cut individual metal letters (from any font) in a wide range of sizes. The individual bronze letters shown in the monument are 3” in height and 1/4” thick. The cast plaques on this monument are a great examples of donor signage. The majority of the money needed to create this monument was fundraised and donated by organizations and generous individuals from Arcadia. Masterwork Plaques can create donor plaques at just about any size, to fit a large or small list of names for honored donors. Perpetual Plaques: When a continually growing list of donors needs to be honored, individual name plaques can be added to the plaque over time. Cast List Plaques: This donor list plaque can be created in one piece for a list of contributors that does not need to be added to over time. Every few years a new plaque can be added to a wall featuring an updated list of recent donors. For more information on our cast donor plaques and waterjet cut projects, contact us at masterworkplaques@gmail.com. One of the most popular techniques offered at Masterwork Plaques is our “photo-rendered” portrait process. We recommend this option to all of our customers, especially those in search of a cost-effective portrait plaque that can be created in a short amount of time. The most important element of the photo-rendered portrait process is the actual photo of the subject that is provided to us. It is important that the photo is not pixelated or blurry, as this will show up in the final bronze portrait. For our clients who may be less familiar with what constitutes a high-quality photo, we’ve answered some frequently asked questions below. Dots per inch, or “dpi”, is the measure of the amount of dots comprising an image within the span of one inch. Computer monitors call these dots “pixels”, so “ppi” and “dpi” can be used interchangeably. A high-quality photo has many dots per inch, a low quality photo has less. These tiny dots have a great effect on the overall image quality. Take a look at the high-quality example below. As you can see, the photo above has no pixelation. The file is also 300 dpi, which means the image has a good amount of information to translate into cast bronze. Below is an example of an image with only 60dpi. As you can see, this is a lower quality image. It appears blurry and unclear. We don’t have a lot of information. 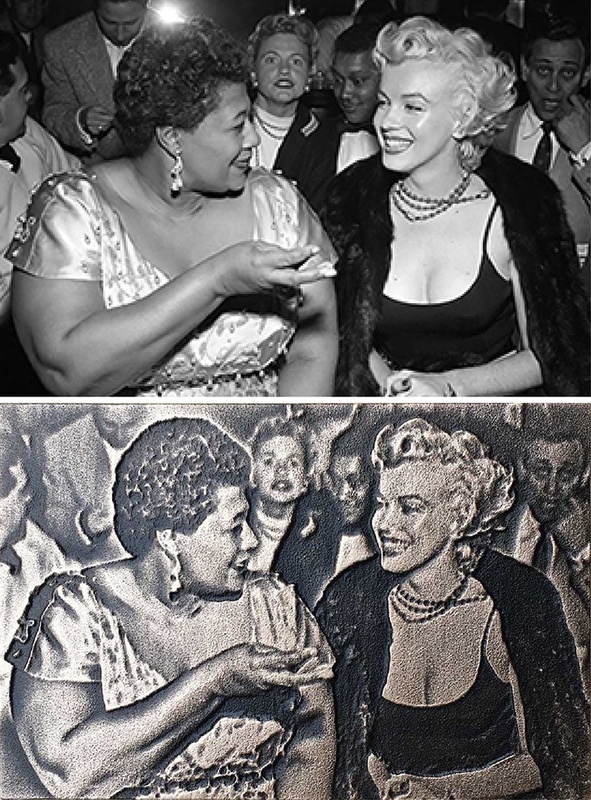 As you can see, the photo was translated into bronze, and the pixelation carried into the final product. 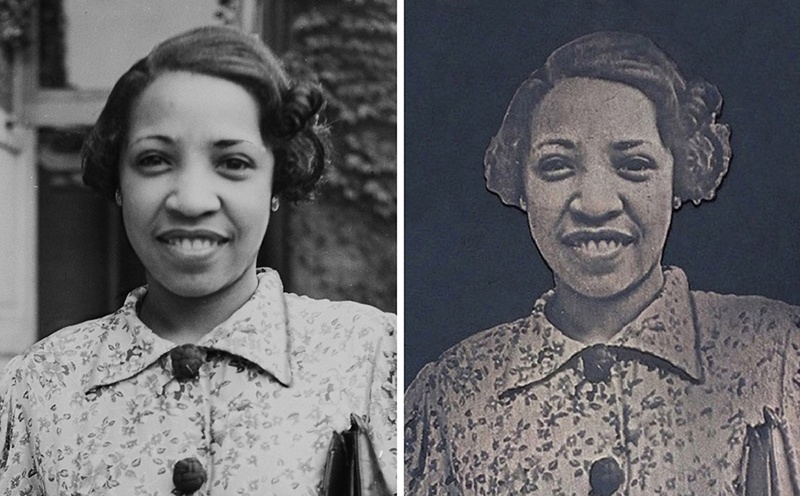 The photo-rendered process converts data stored in the photograph into a bronze portrait. Therefore, if you provide a low quality photo, only limited information will appear on the final bronze plaque. How can I check if my photo is high enough quality? Take a look at the image file size. If it is under 500kb, it may be too small to use. Double click on the image file. If it opens up at a small size (less than half of your laptop screen, it is also likely too small. At actual size, if the image appears blurry or pixelated, it is also too low quality. CAN MASTERWORK PLAQUE USE PRINTED IMAGES? In some cases, yes. We recommend scanning this image at 300dpi or higher if you can. The higher the dpi, the more data is copied from the original image and saved in the digital copy. Note: if the hard copy photo is blurry, you should not expect scanning to improve the photo quality. If the subject is blurry in the original image, it will still be blurry in the scan, which will cause problems when this image is translated into bronze. WHAT IF I CAN ONLY FIND IMAGES LESS THAN 300DPI? If you are unsure whether your image is high enough quality, send it to us via email and we can review the image in house. Sometimes we can edit the image file to increase its sharpness and minimize minimal pixelation if no alternative can be found. 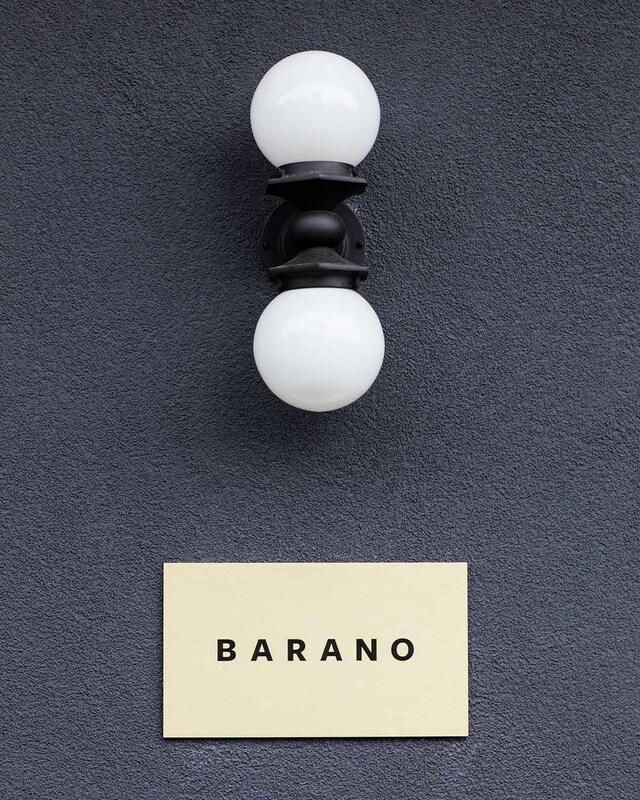 Located in Williamsburg, Brooklyn about six blocks from our design studio is the highly anticipated Barano Restaurant which opens this month. Chef Albert Di Meglio, former chef at Rubirosa, created a menu inspired by his childhood as an Italian-American in Staten Island. The restaurant’s name, Barano, is named after his family’s hometown on the island of Ischia, just off the coast of Naples, Italy. 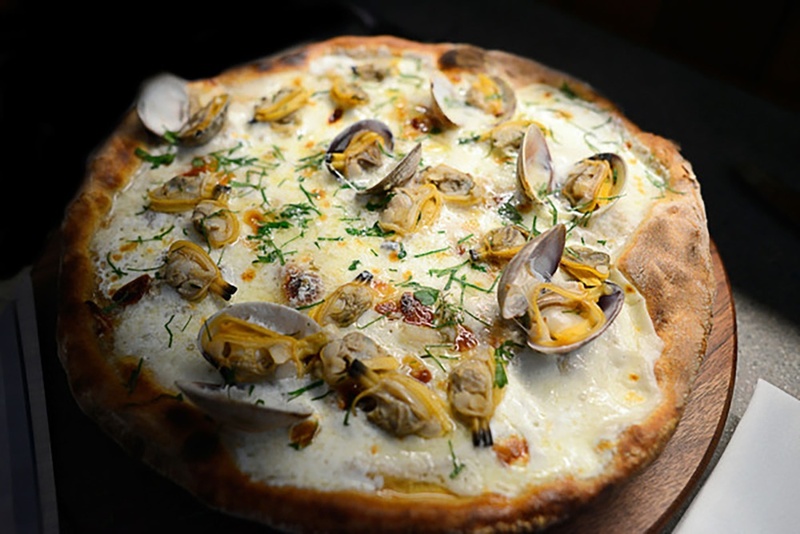 New York Magazine writes, “…the kitchen revolves around a wood-fired oven, rotisserie, and grill, which Di Meglio employs for pizzas like the L’uovo (Swiss chard, capocollo, Fontina, and duck egg) and spit-roasted meats.” Sounds delicious to us! The interior design aesthetic of the restaurant was conceptualized by Brooklyn Home Studios, with the restaurant’s exterior signage manufactured by Masterwork Plaques. The building’s exterior features two etched brass plaques, one featuring the name of the restaurant, the other the street address. Restaurant and exterior signage is most successful when the design is simple, crisp and clean. Our studio always recommends investing in high quality materials. Although we do create plaques in aluminum, zinc and other more affordable metals, brass, bronze and stainless steel will stand the test of time. We were thrilled to see our plaque featured on the restaurant’s main page! Photo from B arano Restaurant . 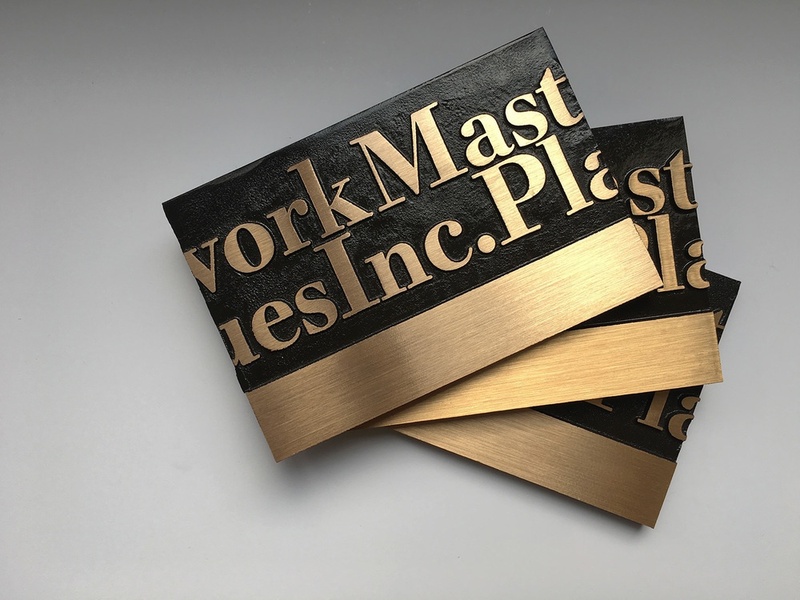 For more information regarding our etched brass and custom plaques, give us a call at (718) 283-4109, and we will be happy to discuss a variety of options for signage that bests suit your business. Exterior building signage is necessary for just about every type of business. When it comes to designing company plaques, it can be tempting to jam-pack each sign with addresses, tag lines and contact info to give the casual passerby more than one way to reach out to your business. While employee email addresses, phone numbers and physical addresses can all be helpful, an outdoor plaque may not need all of these elements. To prevent overcomplicating your corporate signage, focus on the company name, logo, and your overall brand identity. The outdoor plaque should clearly promote your business’s presence in the building, and it should also catch the eye of passersby, enticing prospective clients to visit or contact your organization. We recommend sitting with your branding and marketing team—think about a company color and metal type that may best complement your logo. At the same time, decide on one method of contact that is most appropriate for prospective clients who see your company’s plaque on the street—a contact method may not be necessary if the sign is right outside your door. Once the content is decided upon, request a quote from our studio, and our customer service team can help you finalize your plaque design from there. Included below are five helpful tips during your company’s initial planning process. Every few months, a client will ask us to add a QR code to their initial plaque designs, but rarely do these customers end up wanting it on the final product. We have a bit of an aversion to QR codes at our studio, and there are two reasons why. QR codes are meant for use on printed media. Barcodes are two-dimensional and almost always black and white. Etched and cast plaques are not completely flat. Cast plaques have a relief depth of 3/32”, so shadowing can distort the QR code and prevent its readability. This presents obvious issues. There is always the risk that the QR code won’t scan properly after the plaque has been created, and what’s the use of an expensive plaque with a QR code that doesn’t work? Barcode Scanner Apps must be downloaded. Secondly, if the QR code does scan successfully, smartphones do not automatically come with barcode scanners. 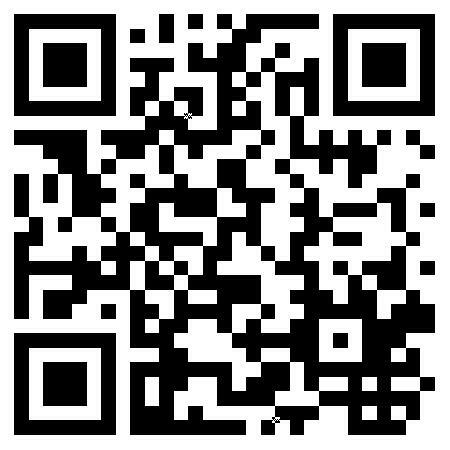 The most effective QR codes offer customers a reward if they do scan and view the embedded link. That means unless you offer a discount or another type of incentive, will people use it? A simple website url may be more effective, and also relieves the fear that QR codes will become outdated. Similar to our first tip, it is important to choose a reliable contact method that will not change over time. 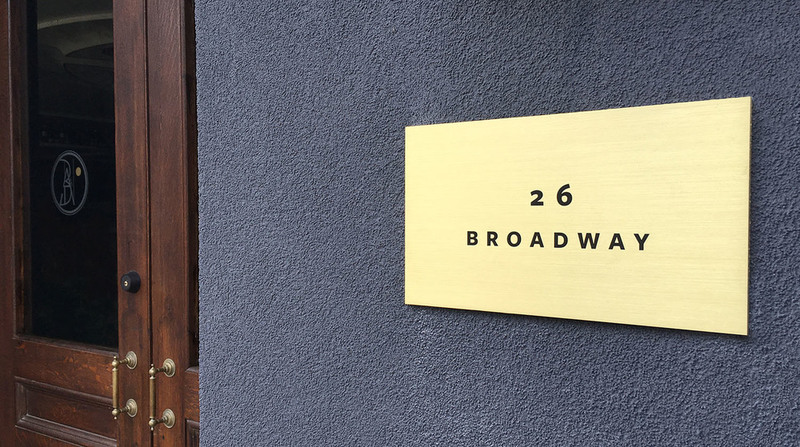 If an architectural signage project has a phone number that is no longer in service, the price to update the phone number on the plaque is just about as expensive as recreating the plaque entirely. For this reason, make sure there are no typos or outdated forms of contact on your company signage. Vector files are our favorite type of file at Masterwork Plaques. Vectors are most often created in Adobe Illustrator, so the file would end in “.ai” or “.eps”. If your company only has a jpeg file handy, send us the highest resolution file available. If needed, we can often redraw the logo in house. Marketing departments will typically have your company’s vector file. Make sure to send us the most up-to-date logo you have. A bronze plaque can last for decades, but if the content is outdated, you may have to remake the plaque regardless of the condition of the metal. 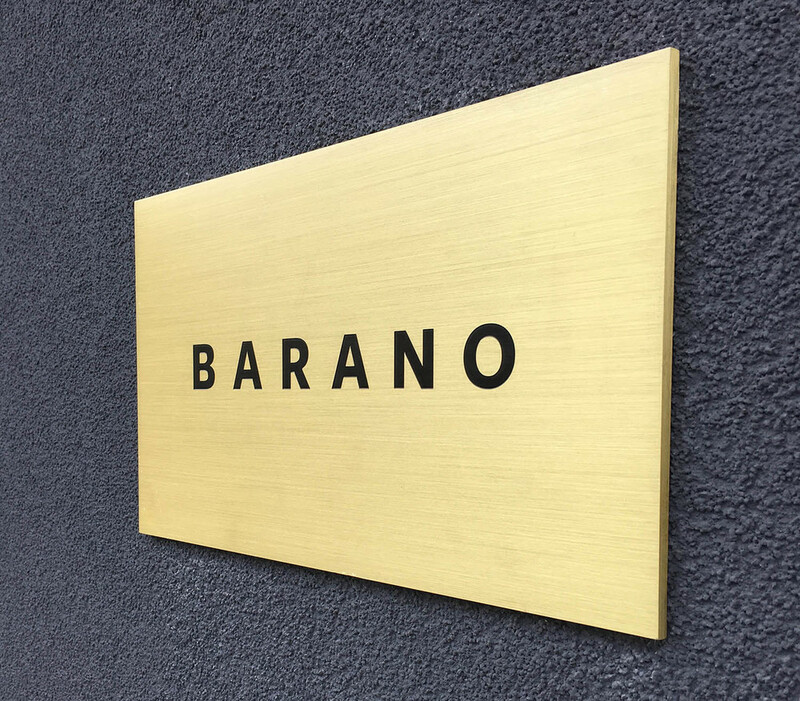 Etched plaque for Barano Restaurant in Brooklyn, NY. Our studio has many plaque options, but we typically recommend cast bronze and etched stainless steel over most other metal types. Bronze and stainless steel are high-quality, durable metals that hold up well as interior and exterior signage. High-quality items usually come with a higher price tag, but if you want plaques that will last for decades, these plaques quickly pay you back over time. Too often, we see outdoor plastic and aluminum plaques that have been through too many hot summers or cold winters. Their painted backgrounds start to peel away, and those once pretty plastic plaques have dented and chipped. It is not uncommon for cheaply-made, exterior plaques to become unreadable after one or two years. Choosing high quality materials and the proper finish prevents dents and scratches that ruin the plaque’s appearance. Rather than recreating a plaque every two years, order a well-made plaque once, and you will save your company valuable time and money. Your plaque is a reflection of your company, and a high quality sign sends a strong message to your customers. One last piece of advice: Use our hidden stud mount technique for any plaque that is installed outside. This blind-mount technique conceals all attachment hardware from the face of the plaque, which makes it more difficult to remove and protects it against theft. Bronze is an expensive material, and a plaque that is improperly mounted can be stolen and sold as scrap metal. Masterwork’s cast plaques come with specially developed attachment systems that can be inserted directly into the wall with an architectural grade epoxy. The Hollywood Style Walk of Fame craze has even made its way around the globe to Australia. 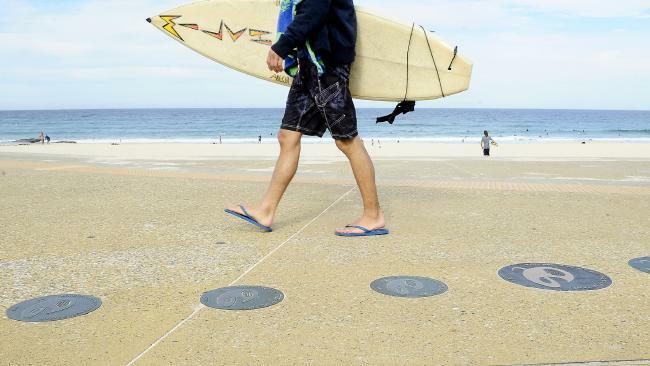 With nationally recognized footpath tributes honoring Australian legends of the sea and screen, we learned in an article in the Daily Telegraph that the City Council in Randwick was attempting to install a third walk to celebrate sporting heroes as well! We love the way the bronze medallions appear to float on the sand-colored paving. Although this walk of fame was not created by Masterwork Plaques, we agree that bronze is one of the best materials for series that are placed underfoot, as not many other materials can hold up to heavy foot traffic, not to mention salt water and sand. Created by sculptor Vladin Stiha in 1985 these eighteen commemorative plaques embedded in the sidewalk reference artists that were active in the Santa Fe region. Each bronze relief plaque honors a separate artist or writer and includes their life dates, a Christian cross and a Spanish conquistador. The walk has been continued in recent years with additional noted Santa Fe artists. Barbara Mandrell’s damaged walk of fame plaque. 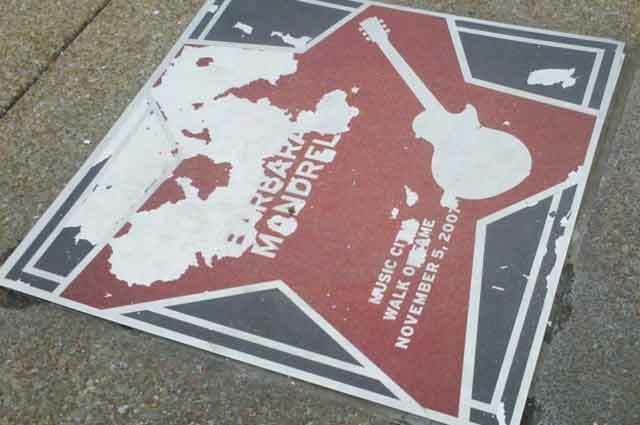 A major attraction for music fans and tourists alike, inductees at the Music City Walk of Fame are honored with permanent sidewalk medallions with the musician’s name displayed in a star-and-guitar design. Past recipients include Jimi Hendrix, Emmylou Harris and Jack White. If you think musicians have a tough time starting out, this walk of fame went through a comparably difficult journey in its early years as reported by WSMV: The Walk of Fame is just four years old, but has had numerous problems. "We've had trucks. We've had skate boarders. We've had weather. There's not much that hasn't impacted the project," said president of the Nashville Convention and Visitors Bureau. Tourists say that they are disappointed by the conditions found at the Walk of Fame and that it sends the wrong message "That tourists aren't really that important," said one visitor in the article. "It's kind of disrespectful to the artists that do get messed up that they aren't that important," said another. The celebrity stars are funded by private dollars and at the time of the article replacements in concrete and stone were planned. 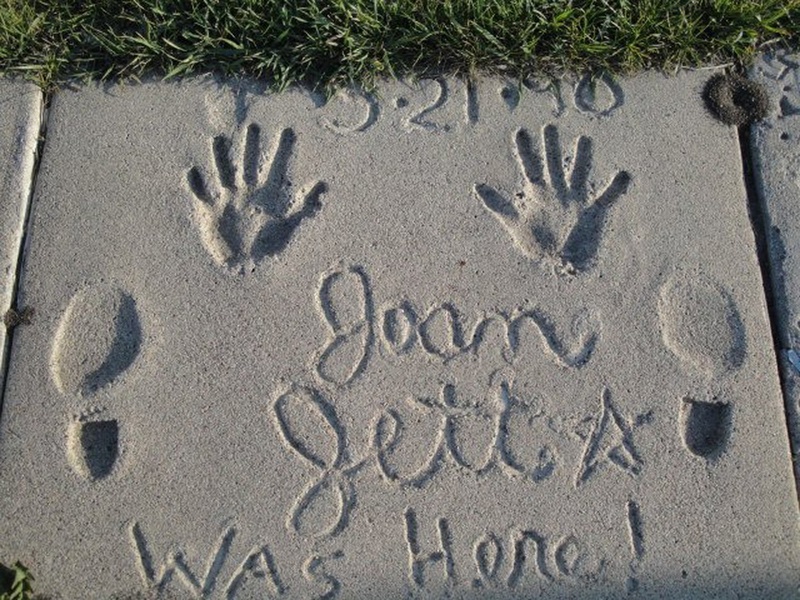 This walk of fame project is a good example of the importance of material. Granite is a very durable stone, but can be susceptible to chipping and cracks, especially if a significant amount of weight is overloaded onto the work. We would exclusively recommend bronze for this type of tribute walk. What determines whether a Walk of Fame will stand the test of time? One reason we suspect certain walks of fame can remain for later generations is based on their material. Fame trails are not only in the United States, and they’re also not only made of bronze. 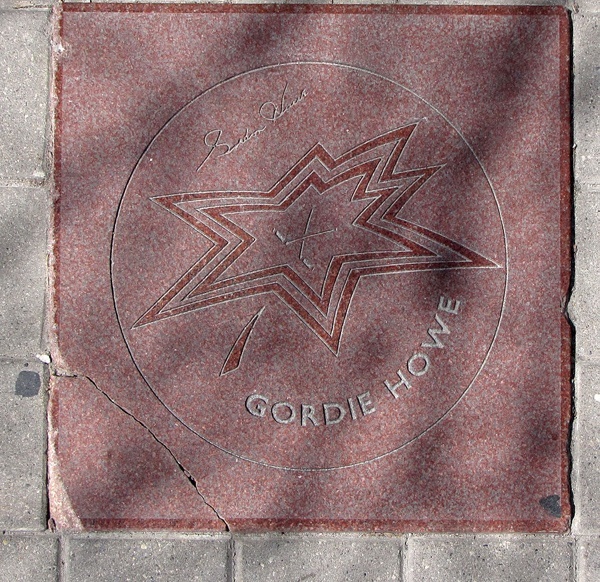 In Canada, specially commissioned insets to recipients such as John Candy and Shania Twain have become a popular tourist attraction in Toronto, and the Canada’s Walk of Fame announcements are the number one Canadian recognition event. Although the permanent tribute plaques have been a hit with the public, they certainly haven’t been a hit with the project’s maintenance department. Faced with harsh weather conditions, the inset granite panels have chipped and worn significantly and have needed frequent replacement. Bronze’s longevity underfoot is one of the reasons we recommend it to our clients over granite when planning similar projects.